UP Madarsa Board Admit Card 2019 From 9 February 2019 Madarsa Board Admit card is available in all madarsa school, college & Jamia Arifia in Uttar Pradesh. Candidates who studying in madarsa and waiting to check their madarsa exam center with up madarsa admit card, than we have good news for them because written exam confirm date is 11 February 2019. UP Madarsa exam centre list 2019: Madarsa Board exam this year belongs to Anudanit madarsa School and Sarkari Inter College. 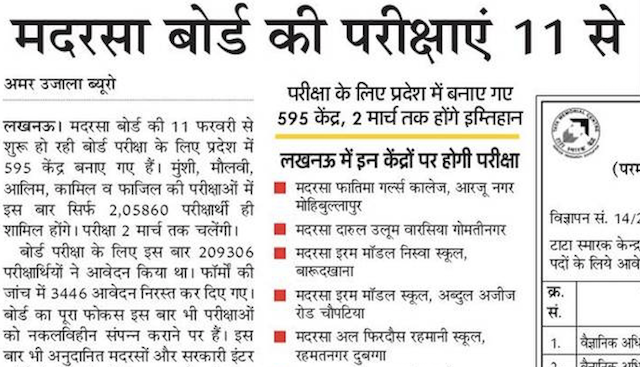 In Below Section we have written about UP madarsa centers of lucknow. 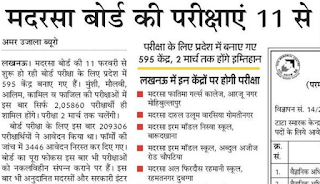 UP Madarsa exam Last Date is 2 March 2019. It applies to all Munshi, Maulvi, Alim, Kamil & Fazil Subject.